LivingSocial is a e-commerce website that offers “Deals of the Day” for local and national companies that post specials on the service. The site, which was launched in 2007, also offers exclusive access to special evenets, travel packages, virtual storefronts, and even takeout and delivery services. 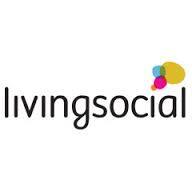 LivingSocial is free for members who use the site to search for deals and specials. Business owners pay a portion of the sale of vouchers sold on LivingSocial, but that payment doesn’t have to made until after the promotion is finished. Businesses that advertise on LivingSocial benefit from a huge network of buyers who eagerly look for the best deals. LivingSocial is a great way to reach new customers. 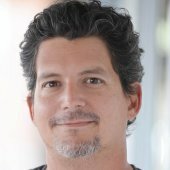 A study by ForeSee stated that 29% of LivingSocial deal redeemers are brand new customers to the business and that 91$ of deal redeemers have or plan to return to the business in the future. LivingSocial has a rule that all voucher must be for at least 50% off of the product or service being advertised. In most cases, this means the seller is taking a loss for every product they sell. This may be worth it if the business can sell enough units or if they find new long-term customers by using LivingSocial.